Club Length: SelectStandard + .5" + 1" - .5" - 1"
What type of club would produce the perfect cross between a chip shot and a flop shot? That would be the innovative XK Flipper, which is not just another ordinary chipper on the market. 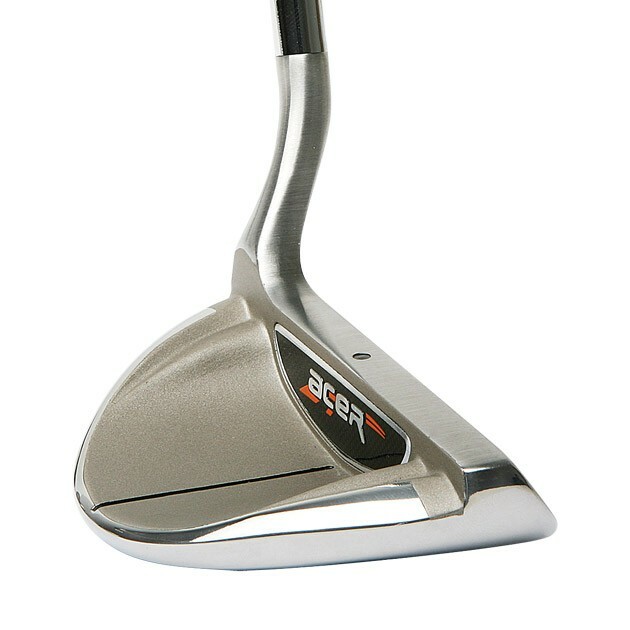 The Flipper is based on our ever-popular XK Chipper that measures 37° loft and is perfect for producing that pitch and run shot around the green. However, what happens when you miss the green short sided or when there is little room between the fringe and the hole to work with? A pitch and run shot will surely run the ball past the hole and further from your goal. Ask yourself how comfortable are you at pulling a wedge out of your bag to cozy the ball near the hole in those situations? If the answer to that is not very good, then the ultra-wide sole to glide along the grass coupled with the higher loft (46°), the Flipper allows you to finally make that 'fly & die' or 'pop and stop' shot that's been missing from your bag.